Speaking during the official opening of a Cyber Security Workshop on Tuesday, 19 March 2019, the Deputy Minister of Information, Communication, Technology, Postal and Courier Services Hon. 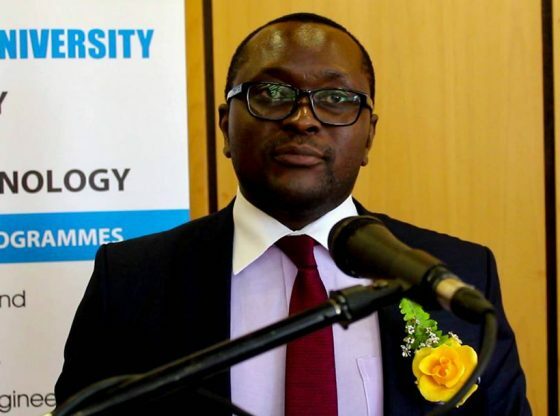 Dr J. Muswere said the world is faced with a shortage of security professionals and institutions such as the Midlands State University play a critical role in the cyber security ecosystem. He commended MSU for organising the workshop and noted that by producing graduates with relevant skills, institutions of higher learning can help to safeguard the country`s information assets. ‘I am pleased to share with you that, the Government recently signed an MOU with the Gujarat Forensic Science University (India) to collaborate on cyber security capability and workforce development. I would also like to commend the Midlands State University regarding the education, training and awareness programmes which you are conducting,’ said the Deputy Minister. The Government has developed a Cyber Protection, Data Protection and Electronic Transaction Bill to address challenges posed by criminal activities in the use of Information, Communication and Technology. The bill is in line with the SADC harmonised Cyber Security Legal Framework and a Memorandum of Principles of the Bill has been approved by the Cabinet. According to Dr Muswere, the legal regulatory framework is a foundation to any National Security capability, particularly for law enforcement activities and must remain under continuous review in order to be effective, reflect contemporary risks as well as opportunities arising from the rapid evolution of cyberspace. Speaking at the same event, Midlands State University Acting Vice-Chancellor, Professor Doreen Moyo, said the institution will be rolling out cyber security awareness training programmes for all its staff and students. She highlighted that ‘studies have shown that a substantial number of cyber-attacks involve the unintended actions of users of information systems, and this risk can be mitigated through effective and sustained security awareness training programmes’. Midlands State University has been investing heavily in ICT infrastructure over the years to facilitate its internal operations and achieve its strategic goal to improve efficiency and quality in administration, teaching, learning and research. The one day workshop was organised by the University’s Information Technology Services (ITS) Department and facilitated by Zilab Consultancy.